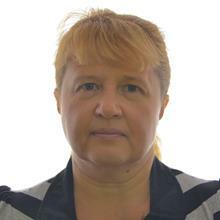 I am a native Ukrainian speaker with Ph.D. in Physics. I speak Russian, Ukrainian, English, and Spanish. I love helping people understand what language means or how it works. I am a certified English teacher. I am quite adaptable to your needs. My experience in teaching has shown me that every student is different so I do change my teaching style from one student to other. In general, I like providing tools and help that the student can use to improve his/her skills so when a doubt comes the student can reach the answer by his/her own instead of me saying the result with no thinking from the other part.